Gentle dark gold ''RR'' RIONI monogram print on solid brown designer canvas body. Leather handles, trim and gold plated hardware. Four wheel design makes it easy to roll this luggage in all directions. Front upper and lower zipper pockets. Horizontal zipper entrance opening. Interior cover has a side mesh zipper pocket, zipper pouch pocket, and padded computer compartment with secure strap. Rear zipper pocket. 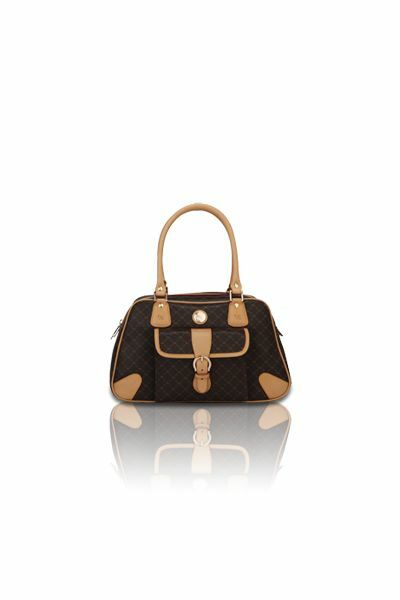 Coffee brown RIONI monogram lining. 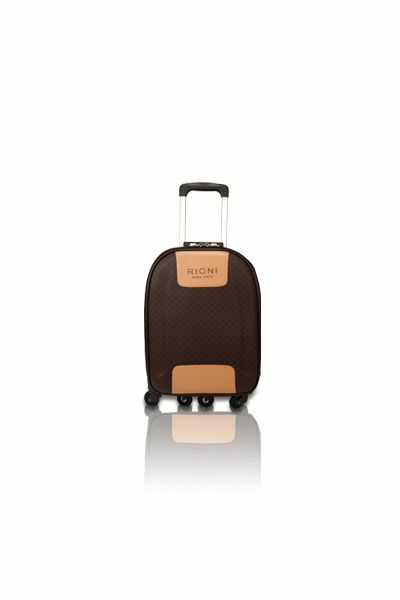 L16.5 x W10 x H25"
Product: Medium Luggage was added to cart.